An administrator's work revolves around investigating. Whether it involves issues with parents or students, disciplinary incidents or teacher situations, being able to investigate in a non-biased and systematic manner is paramount for success. Yet, despite this premise, guidance for new and experienced administrators concerning how to investigate an incident is limited at best. 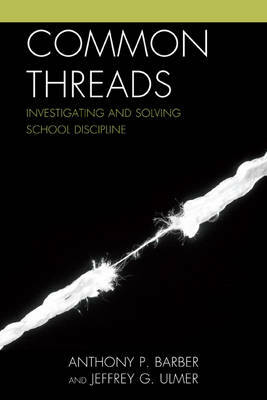 Common Threads is a straightforward, practical guide for administrators in the job or professors to use as a guide for principal preparatory training.